Cracker Barrel Old Country Store is a family owned business serving home-style cooking and known for their warm southern hospitality. In September 19, 1969, their founder Dan W. Evins opened the first Cracker Barrel Old Country Store on Lebanon, Tennessee. All their meals were made from scratch. By 1977, Dan Evins, with his friends and associates, expanded their store to 13 more branches from Kentucky to Georgia. People loved their food so much that the store’s growth is unstoppable. The undeniable success of their store made licensing of their products possible. 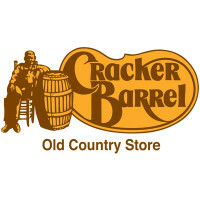 By 2013, Cracker Barrel launched their pre-packed homestyle goods on supermarkets letting you take home their best-selling products straight from the grocery store. Today, Cracker Barrel has branched out to having 641 restaurants around 43 states. Cracker Barrel Catering is available in any participating stores nationwide. When you are craving for a home cooked meal but you do not have time or do not know how to cook, Cracker Barrel catering is just a call away. Be it for your family, or any group gathering, Cracker Barrel catering will certainly satisfy all your comfort food cravings. From their best-selling breakfast plates to their mouth-watering meats, you will never run out of meal choices for your next event or celebration. Cracker Barrel makes it even easier for you to choose your meal from the variety of their food options with their order recommendations. Delight your guests with the tasty Southern home-cooked comfort food from Cracker Barrel catering. Do not miss the opportunity to grab their must try breakfast all day package. On their website’s catering page, enter your zip code on the search field and hit search. You will be redirected to a different page. Select your most preferred store location for easy pick-up. Select your meals. Crack Barrel has available order recommendations for groups that you may consider as a guide in choosing your order. Enter the required information and payment method. Alternatively, you may call the store directly if you prefer to place your order via phone. Cracker Barrel’s catering menu is available for download from their website so you may plan your order ahead before calling the store. Remember to place your order or call the store for any changes on your order at least two hours before your set pick-up time. Cracker Barrel catering offers a variety of meal options with their country sized meals to-go which includes chicken and dumplings, meatloaf, roast beef, grilled or fried chicken tenderloin, catfish, ham, half pound hamburger steak and grilled pork chop. Their sides are also loved by many, especially their hashbrown casserole, chicken salad and everybody’s favorite macaroni and cheese. Who does not love all-day-breakfast? Surprise your guest with their best-selling ham and biscuits or sausage and biscuits combinations and don’t forget their signature coarse ground grits, all made from scratch. For groups of 4-6, prices are around $80-100. For groups of 6-10, estimated cost will be $100-150. For large groups of 15 and above, pricing will be more than $200. For now, Cracker Barrel catering only lets you pick-up your catering order straight from their store.